Dr. Joyce Iun is a Professional Consultant in the Department of Management. Dr. Iun is a DBA (Doctorate of Business Administration) graduate from The Hong Kong Polytechnic University (PolyU). She received her MBA from the University of East Asia (Macau), BBA (with distinction) from the University of Hawaii (US), and Diploma in Public Administration from the University of Lisbon (with distinction) (Portugal). She has had over twenty-five years of experience in training and human resources management in the PRC, Hong Kong, and Macau. She has worked for public and private organisations including Henderson Land Group, K.Wah Group, Hong Kong and Shanghai Hotels, Shanghai American Club, Social Services in Toronto, Macau Management Association, and Tourism Department of Macau SAR Government. 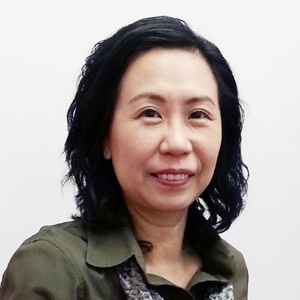 After her doctoral studies in 2005, she has taught MBA and MSc courses in PolyU. From 2007 to now, she has been teaching CUHK’s undergraduate and MBA programmes. Her research works have been accepted by Journal of Organisational Behaviour, Group and Organisation Management, International Journal of Hospitality Management, Academy of Management Conference, Asia Academy of Management Conference, and Society for Industrial Organisational Psychology Conference. In recent years, she has received multiple grants from CUHK in developing e-learning materials for teaching, corporate training and career coaching and counselling. Christopher Robert, Timothy C. Dunne, and Joyce Iun (2015), “The Impact of Leader Humor on Subordinate Job Satisfaction: The Crucial Role of Leader-Subordinate Relationship Quality,” Group & Organisation Management, 1-32. Xu Huang, Joyce Iun, A. Liu, and Y. Gong (2010), “Does Participative Leadership Enhance Work Performance by Inducing Empowerment or Trust? The Differential Effects on Managerial and Non-Managerial Subordinates,” Journal of Organisational Behaviour, 31, 122-143.